I have been a mediator and facilitator for as long as I can remember. I have a distinct memory of when I was only 5 years old intervening to prevent the unnecessary escalation of any family conflict, and that is the way that I have lived my life ever since, although now I help people to step into the heat of the conflict and manage it better, knowing that conflict and difference are all a normal part of life, and that we have to go into it and through it to come out the other side with useful learnings. 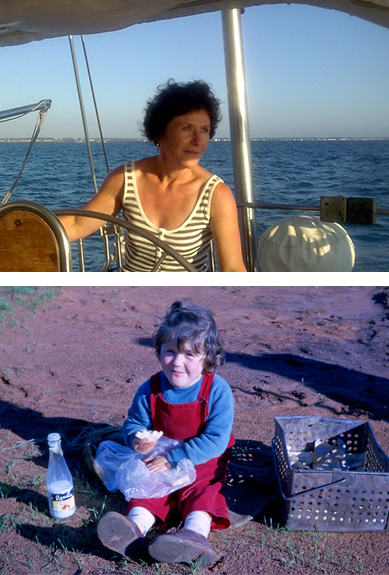 When our children were little, we took a year off to go sailing up the east coast of Australia, and it was during this time that I found real clarity around where I wanted to focus my work and where I could have the greatest impact. Helping people to live without the pain of unresolved conflict was a perfect fit for me. As an ADR practitioner, we are in that space of holding the helm, helping people to navigate through rough waters and high emotions, deal with that unexpected rogue wave, and do so with less fear, more courage, confidence and grace - it is the “sweet spot” of mediation, where perspectives and mindsets change and transformation occurs. Conflict management is my place, it is where I belong. It is the perfect fit. Sally has been a sailor for many years.